As the children explore in the Nature Explore Classroom, they collect their own materials, leaves, branches and twigs to create their own artwork. They enjoy painting with leaves and roll twigs through their paintings. The children are allowed to display their artwork on a daily basis. Letting them express themselves creates a positive sense of independence that enhances their self-esteem. Children also like to collect materials such as rocks, to use in a counting game, and dry leaves to compare and contrast with other live plants and flowers. They enjoy exploring the creases on leaves with magnifying glasses, available to them throughout the site. 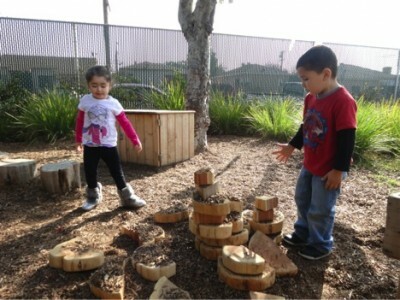 We have tree stumps and other wooden material for them to climb on and build with as well. Nature Explore artifacts are made from a variety of natural materials. Some equipment is more durable than others and some withstand exposure to the elements better. Nature Explore materials tend to be more durable and long-lasting. These materials do not need to be stored inside to prevent fading and pitting and they do not hold the sun’s heat like plastic and metal. Since some of the resources are made from recycled materials, they are often less costly. Our Nature Explore Outdoor classroom is a piece of heaven for our stakeholders. It is so beautiful that parents have expressed that our environment provides a sense of a daily retreat. The Nature Explore classroom is welcoming and equipped with enough materials for all the children. The design allows children to see and move easily throughout all the areas and to find, use and return materials independently. The aesthetics of the Nature Explore classroom is an extension of the country view that the urban school is lacking. 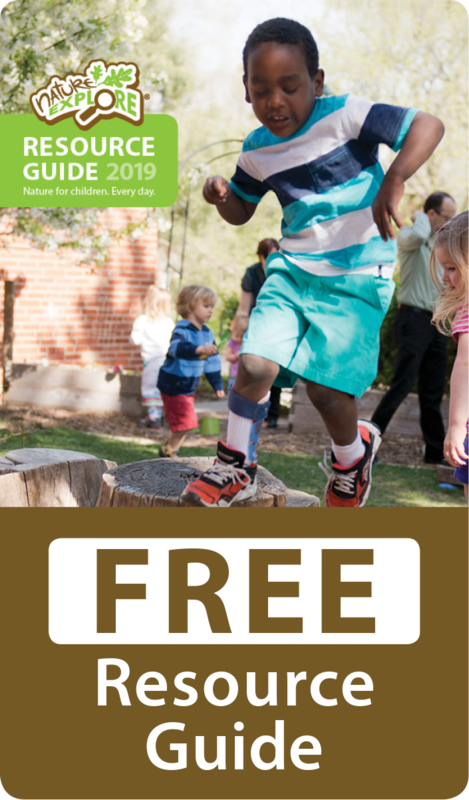 We’ve added beautiful, bright colored fabric throughout the site, wind chimes to our trees to bring music as the children explore, and birdhouses and bird feeders to attract natures animals. We put together an event titled “School Beautification Day”, where we allow all parents, children and family members to visit. In addition to enhancing the beauty that surrounds the space, family members get to explore with their children. We had a group of parents donate passable plants to add to our surroundings while others helped repair and conserve our tree stumps, logs and other materials needing maintenance, along with their children. As a result, staff members had the opportunity to share knowledge regarding each area in the outdoor classroom, helping parents understand and appreciate nature even more.